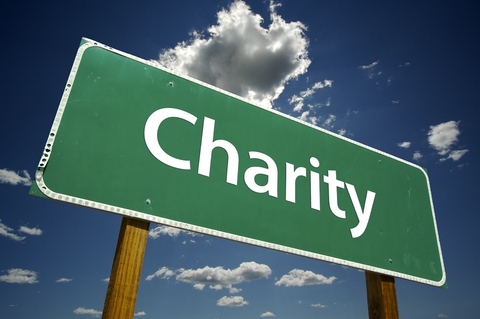 This sector is also known as the charitable or voluntary sector. There are many career opportunities available in this sector, ranging from fundraising to advice giving. It’s important to consider that there are lots of activities that you can get involved in to help you enter this sector and some of these are outlined below. Volunteering is an excellent asset to have if you want to work within this sector. It will show your commitment to the role and at the same time help you to develop some vital skills. It will also help to provide you with an understanding of this sector and the importance of volunteers. If you are keen to do some volunteering but not sure where to start, you could approach voluntary or not-for-profit organisations or check out the University of Leeds Volunteering Hub. Apply for internships – if you are a 1st, 2nd or penultimate year undergraduate, check out our Leeds Internship Programme which includes paid opportunities in local Small and Medium sized Enterprises (SMEs), charities and University of Leeds departments. As well as this some charities offer their own internships, such as Barnardo’s but bear in mind, theirs is a voluntary scheme. Organising an event, with the proceeds from it going to a charity is also a great way to develop your experiences of this sector. For example, a charity walk or cycle (or you could be creative and come up with something totally different!). Organisation of this event could include fundraising for it, getting support from local businesses and getting individuals to attend and take part in it. This is an excellent way to develop some vital skills for this industry and to highlight your commitment to working in it. According to the Guardian, “92% of charities have some social media presence” so there is a huge potential for you to develop your network within this industry. Connect with any friends or family on LinkedIn who might have contacts in the third sector. Also join relevant LinkedIn groups about this sector and contribute to conversations that are of interest to you. As well as this, make sure and ‘like’ relevant groups on Facebook and follow charities or relevant individuals on Twitter to keep up to date with their news and information. Make the most of careers event. For example, you could attend the “Careers… Making a Difference Fair”. This Fair is aimed at students, who wish to work in not-for-profit organisations and in companies that make a difference to society. As well as this we have lots of other events throughout the year. These are excellent opportunities to meet potential employers and develop your network for this sector. For this sector, skills such as communication, interpersonal, sensitivity, motivation and organisation are all important. Think about how your work experience, your studies and your extra-curricular activities have helped you to develop some or all of these skills. As well as this, working in the sector requires commitment to the charity and its cause so it is important that you are able to display this. Likewise a proactive attitude and resilience are important especially when working on projects with small amounts of funding. As mentioned above, social media is a huge area within this sector so IT skills and the ability to use social media are important. The voluntary sector network section of The Guardian has some useful and interesting articles. Third Sector can also be a useful resource and ranges from news to blog articles. Do-it advertises UK wide volunteering opportunities. Skills – Third Sector supports the development of people working in third sector organisations. The charities and voluntary work section on Prospects gives a further overview of this sector in the UK. Careerweb has further insights into this career area.